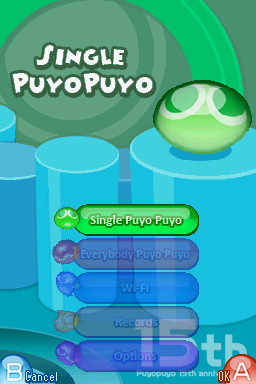 Puyo Puyo! 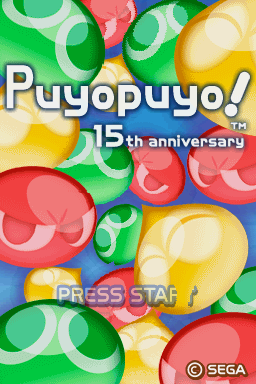 15th Anniversary is a puzzle game for the Nintendo DS. 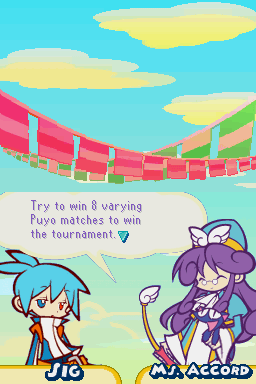 This is an English translation of Puyo Puyo! 15th Anniversary for the Nintendo DS. This patch must be applied on the “0866″ version of the game (see the readme for explanation).